Hey remember my post from Friday? Same outfit, but I switched out the shoes and sweater, then added the vest for a different look. I know, I'm so clever. Anna Wintour is jealous of my genius thinking. Actually, I just went to a Fashion Blogger event in NYC, and I was speaking to The Bloggerella, of course not censoring myself, and she was like, "Your blog name should be, 'Ann Wintour Hates Me.'" Now I'm sad that isn't my blog name.... it perfectly fits I think. Anyways, this past weekend, I met so many inspiring, fashionable, and funny women, I can't wait to write more about the event—coming soon. Anyways.... This is a playful outfit that still conveys sophistication. If this outfit could speak it'd say, "Hey Bob I'm ready to read some graphs and other business stuff, but Susan, let me know when you want to head down for Happy Hour." Susan is cool like that. 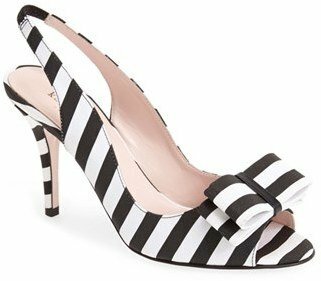 Shoes: old // similar here // Kate Spade on SALE! // and ADORE these! *Thank you Kate Spade for having me as one of your Muses, I continuously try to live my day quick, curious, and strong. Sep 18 So many pockets!